When Keith Gorman and Kathelene Smith arrived on campus at University of North Carolina at Greensboro (UNCG) in 2010, they had to build a volunteer roster from scratch. The Special Collections and University Archives at Jackson Library, where they worked, had no formal volunteer program. Along with Smith—a photographs, artifacts, and textiles archivist—Gorman worked for more than a year and a half to create a successful program at UNCG. As they arrived within weeks of spring finals, they spent their first summer securing institutional buy-in for library volunteers so they could begin recruiting as soon as students returned for fall semester. As either of them will tell you, though, recruiting people is one thing, but managing and retaining them requires a vibrant volunteer environment that can take hard work to cultivate—yet the results can be significant. When new special collections volunteers arrive, Gorman and Smith refer to them as “community scholars,” saying that the relationship they develop with the library fosters an environment of research and discovery, which ultimately bolsters the academic mission of the university library. They are also given an overview of the library’s history and collections. As a result, volunteers “make a real connection to the material,” Smith says. And when the university and the department support the volunteer program, staff members’ interaction and collaboration with volunteers benefit too, she says. Like Gorman and Smith, librarian Cassie Hileman of Harmony School of Excellence in Houston also grew her volunteer program from the ground up. In her first year in 2011, she had only three volunteers; she now has 16. She uses four parent volunteers for day-to-day tasks in the library while the rest of her volunteers, most of whom are students, assist with annual book fairs. She credits her success to spreading the word and building relationships. “Letting people know that there was a need,” she says, was crucial to getting the library on the radar. She also got to know students and their parents, making a point to say hello and smile at them in the hallways. “The big thing to keep them coming back [as volunteers] is knowing their kids, showing that you know them and that you care,” Hileman says. At Waukegan (Ill.) Public Library, more than 90 volunteer tutors power adult education programs that focus on reading, writing, math skills, and learning English as a second language. “Matching a skill set to a task” has been the common theme among successful volunteer programs in libraries, according to Lura Sanborn, coeditor of Library Volunteers Welcome! : Strategies for Attracting, Retaining, and Making the Most of Willing Helpers (McFarland & Company, August 2016). She says that almost every librarian who authored a chapter linked volunteer engagement and motivation to project and ability matching. When Hileman is recruiting volunteers for Harmony’s library, she’ll often match skills by asking parents to help with something in which they have expertise. “If I have something wrong with the computer, they’ll come in and fix it because that’s what they do for a living,” she says. Another volunteer, who doesn’t have children at the school, volunteers because she likes working with young children. “[But] you don’t want just anybody coming into the school,” Hileman says. To maintain safety, all Harmony volunteers must present a driver’s license to the school secretary upon arrival. The license is scanned into a device called a Raptor, which conducts a criminal background check. If approved, the device prints out a label with the volunteer’s name, picture, and assignment area to display while on school grounds. UNCG’s Gorman says there is a “conscious upfront investment on our part to make a good match.” He and Smith connect passion with performance, they say, by seeking out volunteers who will invest their knowledge and energy into the work. Volunteer projects include preservation work, processing archival collections, research for exhibits and online posts, and various stewardship tasks associated with the collections. “We give them jobs that are more than just standing in front of a copy machine,” Gorman says. At Waukegan, one of the library’s primary recruitment goals is to “make it easier for prospective volunteers to understand the numerous opportunities within the library,” says Amanda Civitello, marketing and communications manager. She and staffers inform people of these opportunities through partner organizations, on the website, via LinkedIn, and through ambassador volunteers who promote the library in the community. Those ambassadors often distribute 300 fliers around the city per month. 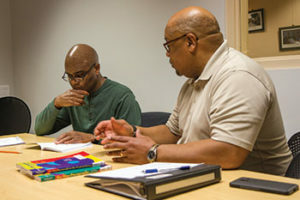 The library will also soon start a referral campaign among current tutors, encouraging them to recruit like-minded connections. “We’re trying to meet tutors where they are,” Civitello says. Many volunteers find UNCG’s volunteer program through the university library’s online presence, particularly its active social media, as well as blogs run by the university archivist that feature unique items from the archives and collections. Gorman stresses the importance of building relationships with other departments so they, too, can recommend volunteers to the library. “It’s very informal,” he says. “We haven’t had an active media push, just a grassroots support for the volunteer program.” Gorman and Smith say they always bring recruitment materials when making presentations in the community, and they always mention volunteer opportunities within the library when giving tours of the Special Collections and University Archives. Though their recruitment approach is multipronged, Gorman and Smith agree that instruction pulls people into the library. This past school year, 54 class sessions took place within the archives, from library information studies to kinesiology classes. Those class tours are more than just lectures; they’re an opportunity to showcase the library to potential volunteers. “People come in and kind of catch the bug. And they want to come back,” Smith says. At Harmony, Hileman uses networking and technology to help with recruiting. Like Gorman, she lets other teachers know when she needs volunteers. And before book fair events, for instance, she organizes her volunteers with SignUpGenius. “You can create a schedule, [and indicate] how many people you need; I make it align with our periods during the day,” she says. Hileman also uses older student volunteers for those events, as Harmony’s students range from kindergarten to 8th grade. To maintain rapport with teachers when using student volunteers, she “talk[s] to the teachers beforehand to make sure kids keep up with their schoolwork.” In addition to learning from the experience, student volunteers set a great example to younger students. “The kids really like to see my middle schoolers help,” she says. Use an intake process, consisting of a job description, application, and interview. Set expectations and ensure volunteers always know what to do. Check in regularly and assign a staff member as supervisor and mentor. Have a backup plan if the volunteer isn’t a good fit, such as suggesting alternative but similar volunteer opportunities. Thank volunteers and be sure to recognize them for both small and significant achievements. Network with partner agencies, institutional departments, and community organizations to get the word out about volunteer needs. Sign up for online resources, like VolunteerMatch, to streamline recruitment efforts. Meet with staff members about the volunteer program, both to foster new ideas and promote a healthy volunteer culture. Recognition is the centerpiece of Hileman’s volunteer strategy at Harmony. She always thanks her volunteers, and after Harmony’s large book events, she often gives small tokens of appreciation. In 2015, the book fair theme was “Under the Sea,” so Hileman thanked her volunteers with boxes of Swedish fish. She also recognizes volunteers at an annual breakfast held in spring during which volunteers are nominated for a book dedication and exceptional volunteers are awarded a bookplate to place in a library book of their choosing. Both volunteers and kids love the tradition, she says, and students enjoy opening books and finding a volunteer’s name inside. UNCG attempts to combat retention challenges with a rigorous intake process and a promise of learning career skills. “We’ve noticed by giving them a serious interview in the beginning, that they really stay,” Smith says. Not only does the interview set expectations, it also helps library staffers learn about volunteers’ strengths and skills so they can use the volunteer more effectively, which enhances the experience for everybody. For many special collections volunteers, library staff members act as mentors. Because many of their volunteers are students or community members who plan to continue their education, supervisors often assist with graduate school applications, cover letters, and preparation for job interviews. 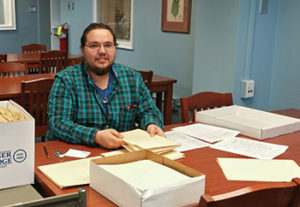 As more volunteers continue schooling or pursue careers, the reputation of volunteering within collections and archives has grown, making it easier for Gorman and Smith to find and keep a steady group of volunteers. And it’s no surprise that volunteering leads to job opportunities. Volunteers are 27% more likely to find a job than those who don’t volunteer, according to “Volunteering as a Pathway to Employment,” a 2013 report from the US government’s Corporation for National and Community Service. Another key to retaining today’s busy volunteers is flexibility. Hileman always has something ready for a volunteer to do, “so they can pop in for an hour, or even less than that,” she says. Because her library’s schedule follows the school’s daytime schedule, she tries to accommodate any help they are willing to provide. As volunteer roles and library needs evolve, so will volunteer recruitment and retention methods. Many libraries are already beginning to see the power of using online recruitment tools, like LinkedIn and VolunteerMatch. For instance, according to Debby Lynch, communications officer for California Public Libraries, about 1,000 VolunteerMatch referrals come in each month, on average, for 302 of the state’s libraries that have at least one opportunity posted on the site. 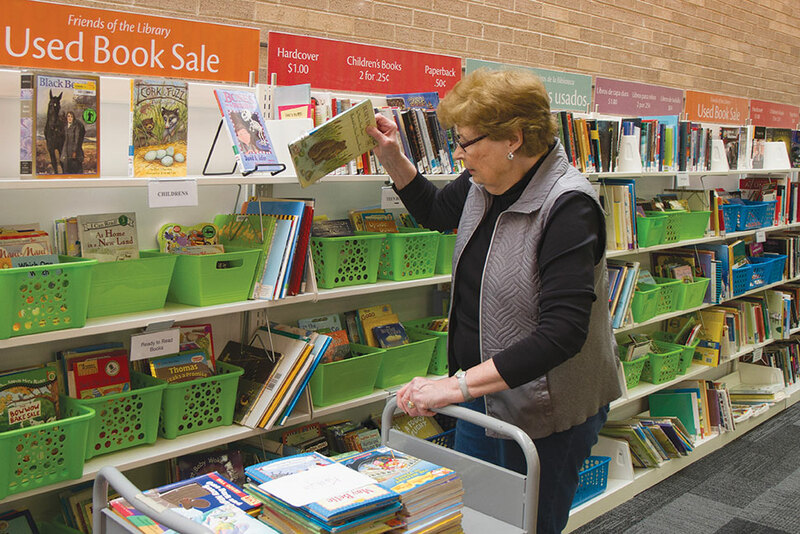 As libraries become more connected, Sanborn predicts that volunteer opportunities will follow suit. 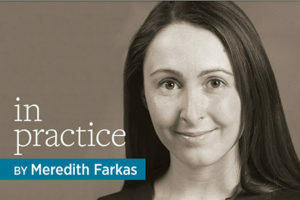 She envisions a growth in online volunteers, of “having work for people who don’t want to or can’t come to the library, such as social media, spreadsheets, library blog.” She cites projects by the Library of Congress (LC) and New York Public Library (NYPL), which use remote online volunteers to complete digital projects. In 2008, when LC teamed up with Flickr to launch “The Commons,” a publicly held photography collection, it received 67,176 community tags by 2,518 unique accounts. Similarly, NYPL often invites the public to assist with digitization projects—such as oral history, transcription, and even hacking events—through NYPL Labs.